Electric Guitars – Jeff's Guitar Clinic, Inc.
Home » Electric Guitars – Jeff's Guitar Clinic, Inc.
At Jeff’s Guitar Clinic we carry an amazing line of electric guitars for every budget, including our on line of Tone Pigs. This guitar features a maple body and neck with a rosewood fingerboard. 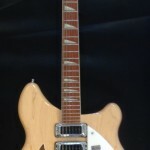 This 12 string guitar has three single coil pickups for a classic Rickenbacker sound that can not be imitated. This mid 1990's semi hollow body has been upgrade with high quality electronics and Gibson '57 humbuckers. The SIDEJACK series are based on the 1960’s MOSRITE. Mosrite guitars were made in USA and began gaining in popularity in the early 1960’s with the help of The Ventures. Its distinctive shape features a reversed-Stratocaster look. . This guitar is a solid maple semi-hollow with a neck-through-body construction. This 12 string guitar has two single coils that will give you a vintage sound that you will not hear from any other guitar. Epiphone ES-295 With Lindy Fralin Pickups. This guitar features a maple body and top and is loaded with cream Lindy Fralin P-90's and a bigsby. A superb guitar in great condition. 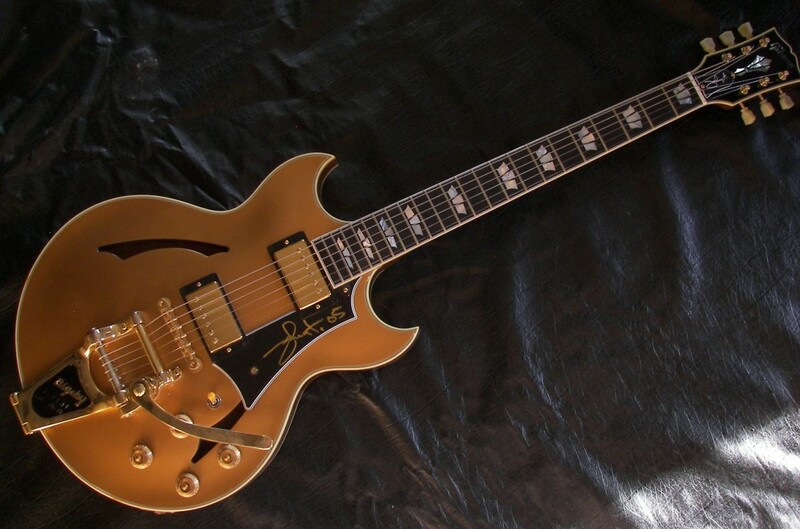 Gibson Johnny A Custom Shop – Goldtop!!!!!! You won't find many like this, but you can find it here!! Play the guitar of a legendary player, Johnny A! The Johnny A guitar features an awesome maple top and a superior sound. Gibson Custom Shop VOS Cherry Sunburst. Huge neck! Huge sound! A classic ebony body with a Rosewood fretboard. Awesome little Squire with the 1969 headstock - Great sound and a sleek, black body! Actually, this run of Squires are pretty nice compared to what is on the market now. An awesome little Squire with great sound, sunburst color, virtually never played! A red stratocaster with a kick!